These resolutions indicate growing awareness among legislators about the public health impact of tobacco harm reduction. 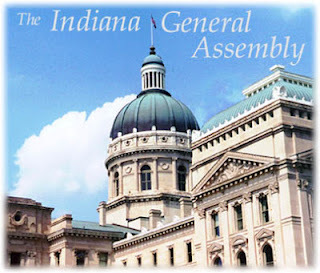 If the interim study committee is approved by the Legislative Council, discussion of tobacco harm reduction will take an important and exciting first step in Indiana. The Surgeon General on Teen Tobacco Use: Is She “Shocked,” or Shocking? Surgeon General Regina M. Benjamin on March 8 released a report on teen tobacco use with the comment, “The numbers are really shocking.” What is truly shocking is that Dr. Benjamin apparently released the report only to a select group of media outlets that published unchallenging stories, precluding any immediate intelligent analysis of this important public health screed. The Surgeon General incorrectly stated in the report’s preface that “today nearly one in four high school seniors … smoke.” That was true eight years ago. According to the authoritative Monitoring the Future Survey, last year only 19% of high school seniors had smoked in the past 30 days, and only 10% smoked daily (here). These are the lowest numbers in the survey’s 36-year history. 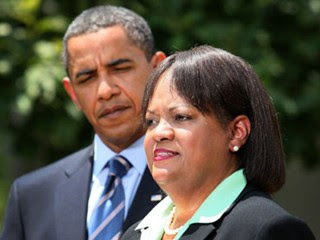 Before Dr. Benjamin uses the Surgeon General’s bully pulpit, she should get her facts right. On tobacco industry marketing, the Surgeon General’s allegations strained scientific credibility. Tobacco manufacturers have been prohibited from targeting children since the 1998 Master Settlement Agreement with 46 states (here). They cannot “take any action, directly or indirectly, to target Youth within any Settling State in the advertising, promotion or marketing of Tobacco Products, or take any action the primary purpose of which is to initiate, maintain or increase the incidence of Youth smoking within any Settling State.” If Dr. Benjamin can make a case against the industry, she should contact state attorneys general, who have expedited processes for policing and enforcing MSA provisions regarding children. The FDA has said there is virtually no evidence that tobacco manufacturers are marketing to children through retailers. The agency’s extensive multi-state monitoring program shows that 96% of retailers are compliant (discussed in my blog here). Retailers in several states, including Alabama, Idaho, Kansas, Maryland and Maine, have compliance rates of at least 99%. If the Surgeon General holds the tobacco industry responsible for the 19% of high school seniors who smoke, then what industry does she blame for the 23% of high school seniors who use marijuana (evidence here)? Does she blame the alcohol industry for the 40% of seniors who use alcohol, or for the 25% of high school seniors who had been drunk in the past 30 days (evidence here)? According to Dr. Benjamin, “Cigarette smoking by youth and young adults is proven to cause serious and potentially deadly health effects immediately…” This appears to be a new line of attack aimed at teens: If you smoke, you are now at risk for disease and death. Dr. Benjamin should reconsider the veracity of this statement. While teen smoking is unacceptable and troubling, it is not a death sentence. To put the numbers in context: Every year, there are 33,000 deaths among U.S. teenagers and young adults (age 15-24 years); 25,000 of those are due to “external causes,” including 11,000 road accidents, 5,300 homicides and 4,100 suicides. Illnesses of all kinds account for 8,000 deaths. The Surgeon General has an obligation to focus on the real and tragic causes of death among our youth. She would be wise to adhere to the facts. Could Obama Administration Ban Tobacco? The Orange County Register on March 12 published my commentary on the theme of tobacco prohibition in federal agencies. The column appears below (OC Register link here). “Ending the Tobacco Epidemic: A Federal Plan” is the startling title of a speech scheduled for March 14 by Dr. Howard Koh, Assistant Secretary for Health in the U.S. Department of Health and Human Services (HHS). He will be keynoting the annual meeting of the Society for Research on Nicotine and Tobacco in Houston. 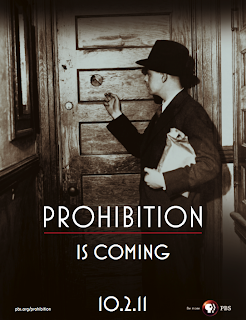 Will the Obama Administration actually pursue tobacco prohibition? In a relentless and unscientific bid to “end” the “tobacco epidemic,” federal government officials are deliberately misapplying causation from smoking, a legitimate risk factor for many diseases, to tobacco in general. This prohibition crusade ignores the enormous life-saving potential of tobacco harm reduction, the substitution of smoke-free tobacco products for cigarettes. Congress has already endorsed the legality of tobacco and has given the FDA regulatory authority over the manufacture, marketing and distribution of tobacco products. It is unacceptable, at this stage, for HHS, “the principal agency for protecting the health of all Americans,” to spend taxpayer funds in pursuit of tobacco prohibition. Rather, the agency should embrace the compelling scientific foundation for tobacco harm reduction and educate the nation’s 45 million smokers about its significant health advantages. FDA Center for Tobacco Products scientist Brian Rostron has published a study finding “evidence of lower lung cancer mortality risk among menthol smokers compared with nonmenthol smokers at ages 50 and over in the U.S. population.” His research is available online in the journal Nicotine & Tobacco Research (abstract here). Dr. Rostron first examined the Cancer Control Supplement of the 1987 National Health Interview Survey. Of 6,073 current smokers, 1,417 reported that they smoked menthol cigarettes and 3,690 were nonmenthol smokers (the menthol preference for the other 966 smokers was undetermined). Using a computerized mortality file developed specifically for these survey participants, Dr. Rostron then determined how many smokers died from lung cancer over the next 20 years, through 2006. Comparisons were made using hazard ratios (HRs), which can be interpreted similarly to relative risks. Compared with nonmenthol smokers, menthol smokers age 50+ years had a significantly lower risk of dying from lung cancer (HR = 0.59, 95% Confidence Interval, CI = 0.37 – 0.95). The lower risk for menthol smokers was also seen at all ages (HR = 0.69), in both men and women (HR = 0.71 and 0.70 respectively), and especially in blacks (HR = 0.41). This indicates that the results were consistent across many smaller subgroups of smokers, although the HRs were not significant because of the smaller numbers. Dr. Rostron’s results were in agreement with two previous epidemiologic studies. The first, published last year by Vanderbilt University’s William Blot and colleagues (abstract here), found that the incidence of lung cancer among menthol smokers was 65% of that among nonmenthol smokers (CI = 0.47 – 0.90). 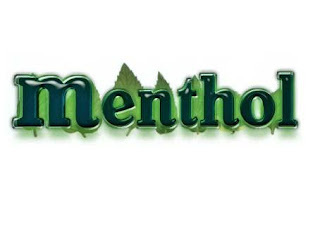 The second study, published in 2003 by Steven Stellman at the American Health Foundation along with investigators at several other research institutions, also found that menthol smokers had lower lung cancer risk than nonmenthol smokers (abstract here). Dr. Stellman’s conclusion that “Smokers of menthol flavored cigarettes were at no greater risk for lung cancer than were smokers of unflavored brands” was a gross understatement. His data show that white men and white and black women who smoked menthols all had lower lung cancer risks than nonmenthol smokers. While the lower risks were not statistically significant for any subgroup, the odds ratio for all menthol smokers was 0.68, which is perfectly consistent with Dr. Rostron’s findings. It was highly unconventional for Dr. Stellman not to report that result. It is interesting to consider these findings when reading last year’s FDA Tobacco Products Scientific Advisory Committee (TPSAC) report on menthol (available here). It appears that TPSAC deliberately downplayed the Blot lung cancer findings, while discussing other findings in detail. The Stellman study was not even mentioned. The importance of this newest research should not be underestimated. Last year, FDA Commissioner Margaret Hamburg emphasized that “Science underlies everything we do at this agency…” (here). Dr. Rostron and the Center for Tobacco Products should be commended for producing this analysis. One hopes it will be used appropriately by the FDA in development of science-based tobacco regulation.